You can contact us 24/7. We'll read your message instantly. Do you want to sell rooms for tonight? If you want to know more about RLB and be published in our platform, please fill the following form and we'll contact you asap. Can I book a room at any time of day? The deals will be available at the app and at the web from 12 noon to 3 am, so this is the time in which you can make your reservation. Why do I have to wait til 12 noon to book? At noon the hotel owner knows how many unsold rooms they have for the day and how many of them want to sell through Reallylatebooking at a price lower than usual. Can I book a room for several nights? In many hotels you can book up to 5 nights, if they are consecutive nights, counting from the current day. In the step prior to confirm your reservation you will find the option "Nights". Can I cancel a reservation? Reservations are not refundable once the confirmation is made, but you can contact us through soporte@reallylatebooking.com, we'll find a solution!. What kind of room I'll get? All our rooms are double, we can not assure you´ll have a double bed but ask at reception when you arrive at the hotel. Some of our hotels have breakfast included, look at the hotel information. Why only three deals per city or zone? Although we have many hotels in a city, we select for you the best three every day. Should I introduce my details every time I book? It's not necessary. All the user data including your credit card are stored in the memory of your phone. At the web you'll need to enter credit card with each purchase. Can I modify my personal data? Sure, just go to "Profile" and then to "edit profile" and you'll be able to modified your data. Can I book a room for a friend? Yes, you can. You'll see the option "Booking for a friend" where you can enter your friend's name and email. Do you need a Hotel for tonight? A new way of travel. Get discounts to 70% for the best hotels, for the same day. Hotels gives us their unsold rooms every day. And you can book a room in seconds, easy and secure. "It saved my weekend in London "
I lost my flight and found a hotel with RLB for the price of a hostel. I had a really hard week and decided to have an improvised holidays.The RLB app gave me great choices on short notice. "We booked in the taxi "
My boyfriend and I dont use to book weeks before travel. Now it's easier and cheaper to travel this way. © ReallyLateBooking 2012. Powered by IIPIR Software Solutions S.L. These pages, the content and infrastructure of these pages, and the online hotel reservation service provided on these pages and through the website (the "service") are owned, operated and provided by IIPIR SOFTWARE DEVELOPMENT SL ("ReallyLateBooking.com", "us", "we" or "our") and are provided for your personal, non-commercial use only, subject to the terms and conditions set out below. Through the website we (IIPIR SOFTWARE DEVELOPMENT SL and its affiliate (distribution) partners) provide an online platform through which hotels (including all types of temporary accommodation) can advertise their rooms for reservation, and through which visitors to the website can make such reservations. By making a reservation through ReallyLateBooking.com, you enter into a direct (legally binding) contractual relationship with the hotel at which you book. From the point at which you make your reservation, we act solely as an intermediary between you and the hotel, transmitting the details of your reservation to the relevant hotel and sending you a confirmation email for and on behalf of the hotel. When rendering our services, the information that we disclose is based on the information provided to us by the hotels. As such, the hotels are given access to an extranet through which they are fully responsible for updating all rates, availability and other information which is displayed on our website. Although we will use reasonable skill and care in performing our services we will not verify if, and cannot guarantee that, all information is accurate, complete or correct, nor can we be held responsible for any errors (including manifest and typographical errors), any interruptions (whether due to any (temporary and/or partial) breakdown, repair, upgrade or maintenance of our website or otherwise), inaccurate, misleading or untrue information or non-delivery of information. Each hotel remains responsible at all times for the accuracy, completeness and correctness of the (descriptive) information (including the rates and availability) displayed on our website. Our website does not constitute and should not be regarded as a recommendation or endorsement of (the quality, service level or rating of) any hotel made available. The prices on our site are highly competitive. All prices on the ReallyLateBooking.com website are per room for your entire stay and are displayed including VAT tax and all other taxes (subject to change of such taxes), unless stated differently on our website or in the confirmation email. 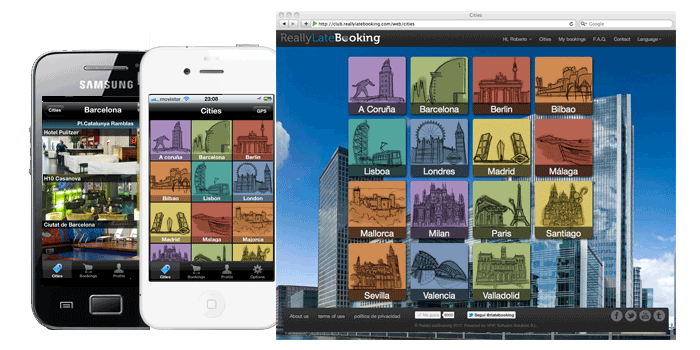 ReallyLateBooking will charge the total amount of the booking at the time of booking confirmation. In order to safeguard and encrypt your credit card information when in transit to us, we use the "Secure Socket Layer (SSL)" technology for our services. You will not be charged any extra cost at the hotel. In the event of credit card fraud or unauthorized use of your credit card by third parties, most banks and credit card companies bear the risk and cover all the charges resulting from such fraud or misuse, which may sometimes be subject to a deductible (usually set at EUR 50 (or the equivalent in your local currency)). In the event that your credit card company or bank charges you the deductible because of unauthorized transactions resulting from a reservation made on our website, we will pay you this deductible, up to an aggregate amount of EUR 50 (or the equivalent in your local currency). In order to be indemnified, please make sure that you report this fraud to your credit card provider (in accordance with its reporting rules and procedures) and contact us immediately by email (soporte@ReallyLateBooking.com). Please state 'credit card fraud' in the subject line of your email and provide us with evidence of the charged deductible (e.g. policy of the credit card company). This indemnification only applies to credit card reservations made using ReallyLateBooking.com's secure server and the unauthorized use of your credit card resulting through our default or negligence and through no fault of your own while using the secure server. Being all the deals for the same day of the reservation, cancellation at ReallyLateBooking involves paying the total amount of the reserve. When you use ReallyLateBooking or send e-mails to us, you are communicating with us electronically. You consent to receive communications from us electronically. We will communicate with you by e-mail or by posting notices on our website. You agree that all agreements, notices, disclosures and other communications that we provide to you electronically satisfy any legal requirement that such communications be in writing. Subject to the limitations set out in these terms and conditions and to the extent permitted by law, we shall only be liable for direct damages actually suffered, paid or incurred by you due to an attributable shortcoming of our obligations in respect to our services, up to an aggregate amount of the aggregate cost of your reservation as set out in the confirmation email (whether for one event or series of connected events). However and to the extent permitted by law, neither we nor any of our officers, directors, employees, representatives, subsidiaries, affiliated companies, distributors, affiliate (distribution) partners, licensees, agents or others involved in creating, sponsoring, promoting, or otherwise making available the site and its contents shall be liable for (i) any punitive, special, indirect or consequential loss or damages, any loss of production, loss of profit, loss of revenue, loss of contract, loss of or damage to goodwill or reputation, loss of claim, (ii) any inaccuracy relating to the (descriptive) information (including rates, availability and ratings) of the hotel as made available on our website, (iii) the services rendered or the products offered by the hotel, (iv) any (direct, indirect, consequential or punitive) damages, losses or costs suffered, incurred or paid by you, pursuant to, arising out of or in connection with the use, inability to use or delay of our website, or (v) for any (personal) injury, death, property damage, or other (direct, indirect, special, consequential or punitive) damages, losses or costs suffered, incurred or paid by you, whether due to (legal) acts, errors, breaches, (gross) negligence, willful misconduct, omissions, non-performance, misrepresentations, tort or strict liability by or (wholly or partly) attributable to the hotel (its employees, directors, officers, agents, representatives or affiliated companies), including any (partial) cancellation, overbooking, strike, force majeure or any other event beyond our control. Unless stated otherwise, the software required for our services or available on or used by our website and the intellectual property rights (including the copyrights) of the contents and information of and material on our website are owned by IIPIR SOFTWARE DEVELOPMENT SL , its suppliers or providers. To the extent permitted by law, these terms and conditions and the provision of our services shall be governed by and construed in accordance with Spanish law and any dispute arising out of these general terms and conditions and our services shall exclusively be submitted to the competent courts in Madrid, Spain. We highly value your trust in choosing ReallyLateBooking.com for your online hotel reservation. Therefore, we will duly and diligently safeguard and protect the privacy and confidentiality of your personal details (including your credit card details). When you make a reservation for a hotel (or any other type of accommodation), you will be asked to complete online forms providing: your name, (home or office) address, (business or private) email address, (cell, home or office) telephone number, credit card details (i.e. credit card type and number, CVC code, expiration date, credit card holder name) and to the extent available, reservation preferences and smoking preference. This information is required to process, book and complete your reservation (including the sending of a confirmation email of the booking to you). For the purposes of completing your booking and save for disclosures required by law, criminal investigations, subpoenas or court orders, we will only disclose your name, contact details and the credit card details to the relevant hotel with which a booking is made. However, please note that from time to time, we may use third party distributors which provide certain services and functions for and on our behalf. These third party distributors may have access to (part of your) personal information in order to perform their services and functions, but are subject to a confidentiality obligation pursuant to which they cannot use, share or disclose the information for any other purpose. By completing a booking, you agree to receive an email with an invitation to complete our guest review form. We send you this email shortly after your stay at the hotel, and the guest review form can be completed anonymously. By completing the guest review, you agree that the completed guest review can be uploaded to and used on our website on the relevant hotel information page and on such other platforms and social media (wholly or partly) owned, controlled, managed or hosted by us or our trusted business partners for the sole purpose of informing (future) customers on the service (level) and quality of the relevant hotel. We reserve the right to adjust, refuse or remove review forms at our sole discretion. The guest review form should be regarded as a survey and does not include any (further commercial) offers, invitations or incentives whatsoever. Newsletters and other information: If you would like to subscribe to our newsletter or would like to receive promotional communications or other information from us (in respect to our affiliated companies' or business partners' products or services), we offer you the option to "Opt in" for this service. If you no longer want to receive our newsletter and other promotional communications, you can simply click on the unsubscribe link. Si deseas recibir nuestra newsletter, ofertas u otra información (relativa a nuestros productos y servicios, o a los de de nuestras empresas afiliadas o socios), te ofrecemos la opción de suscribirte. Si ya no deseas recibir la newsletter ni las ofertas, puedes clicar en el enlace “darse de baja”. In order to protect and safeguard the personal data provided to us, we have implemented and use appropriate business systems and procedures. For example, your credit card information is transmitted to us through a secure server protocol, which encrypts all your personal and credit card details. The encryption method used is the industry standard "Secure Socket Layer" (SSL) technology. Furthermore, we have implemented and use security procedures and technical and physical restrictions for accessing and using personal information. Only authorized employees are permitted to access personal information for performing their duties in respect to our services. Please state 'request personal data' in the subject line of your email. If your personal data is incorrect, we will change it upon your request. You can also ask ReallyLateBooking.com to remove your personal data from its database by sending us an email to the aforementioned email address. When does ReallyLateBooking.com send you emails? After you have made a booking, you will receive a confirmation message with all the information about your booking. We are at all times entitled to change the way we collect, transmit and process personal information and such other information as we may deem necessary. This Privacy Statement may therefore be amended from time to time in order to reflect the latest changes.